In the decade to 2010 the area planted to the Tempranillo variety expanded at a much faster rate than any other wine grape variety. In fact it clearly outstripped all other varieties by a handsome margin. Over that decade Tempranillo planting increased worldwide by 140,000 hectares. The largest increase of the next most popular was Syrah/Shiraz, which increased by 80,000 hectares. To give these figures some perspective the area under wine grapes in Australia is just under 150,000 hectares. 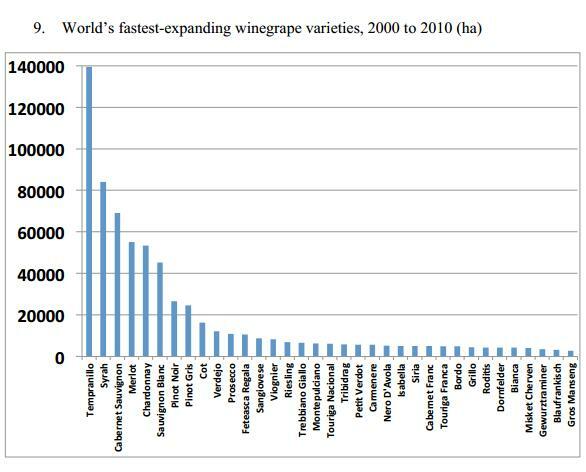 Graph shows 35 grape varieties experiencing increased plantings from 2000 to 2010. The tall bar at the left shows how emphatically the world is turning to Tempranillo. Source: Anderson, Kym, and Nanda Aryal, Where in the World are Various Winegrape Varieties Grown? Evidence from a New Database, December 2013. The area of Australian vineyards planted to Tempranillo is increasing steadily. In 2000 only 41 hectares were planted to the variety, but by 2010 the area had grown to 476 and over 300 producers are making wine. But we still have a long way to go. The area planted to this variety is still comprises only 0.30% of the area planted to red wine varieties in Australia. Surprisingly the only Australian wine region which has embraced Tempranillo wholeheatedly is the Southern Highlands region of NSW where Tempranillo covers 13.3% of the vineyard area, followed by Pinot Noir (11.7%), Cabernet Sauvignon (10.7%) and Shiraz (10.2%). The Tempraneo Group consists of six Australian wineries who share ideas on growing, making and marketing Tempranillo in Australia. Where in the World are Various Winegrape Varieties Grown? Evidence from a New Database is a report from University of Adelaide, written by researchers Kym Anderson and Nanda Aryal. The report covers in extensive detail the what and where of wine grape varieties in wine growing regions throughout the world. There is just a huge amount of data in this report. 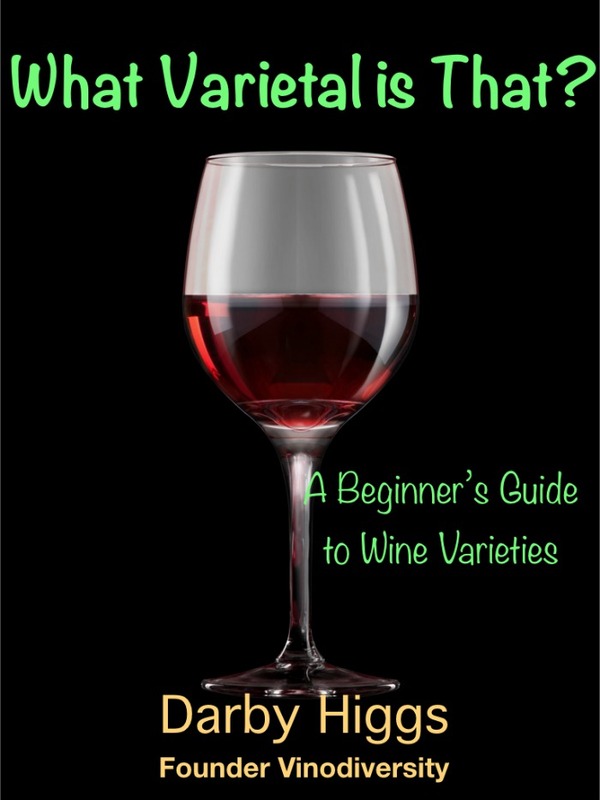 It covers over 1200 varieties and more than 500 regions in 44 winegrowing countries. The PDF file is available for free.